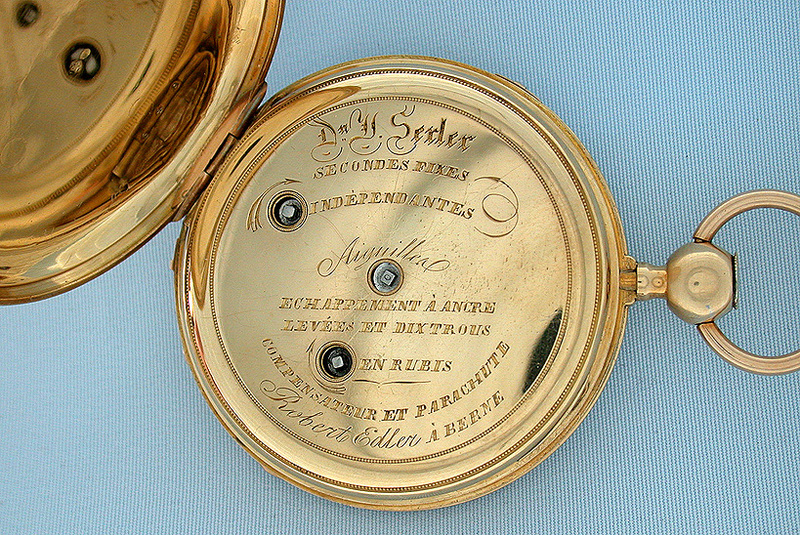 Fine and scarce Swiss two train independent jump seconds doctor's chronograph quarter repeater with original box by Edler circa 1850. 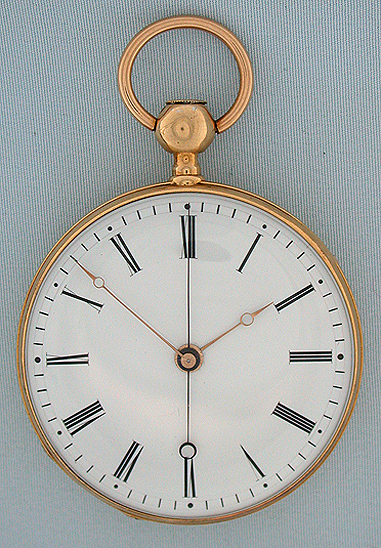 White enamel dial with gold Breguet hands and blued steel jumping center seconds hand. 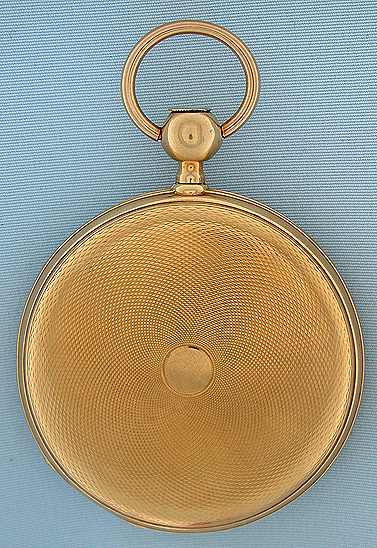 Engine turned case with plunger in the pendant and slide in the band to start and stop the center seconds hand. 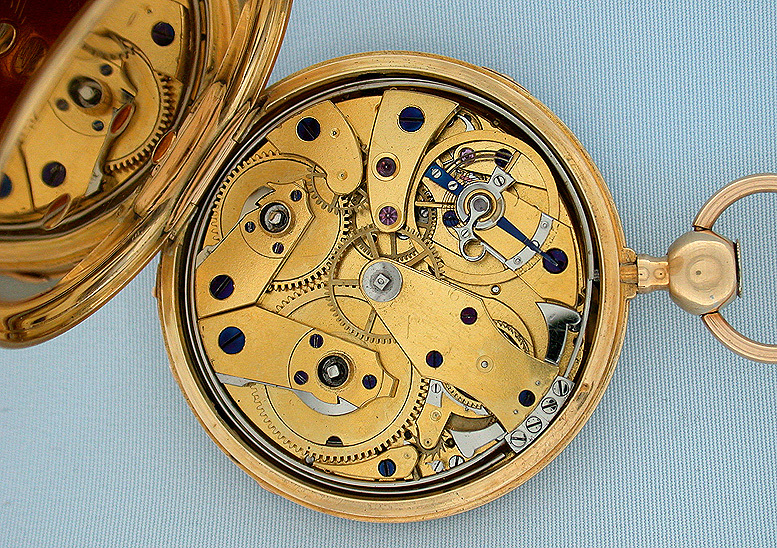 Fine gilt bridge movement with parachute shockproofing, compensation curb, and counterpoised lever. Delicate, clear tone. 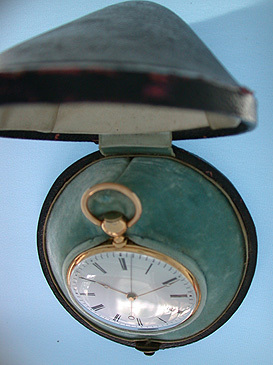 Lovely example of an unusual and high grade timepiece.